This ain’t your normal DC comic, this is Vertigo at its finest. 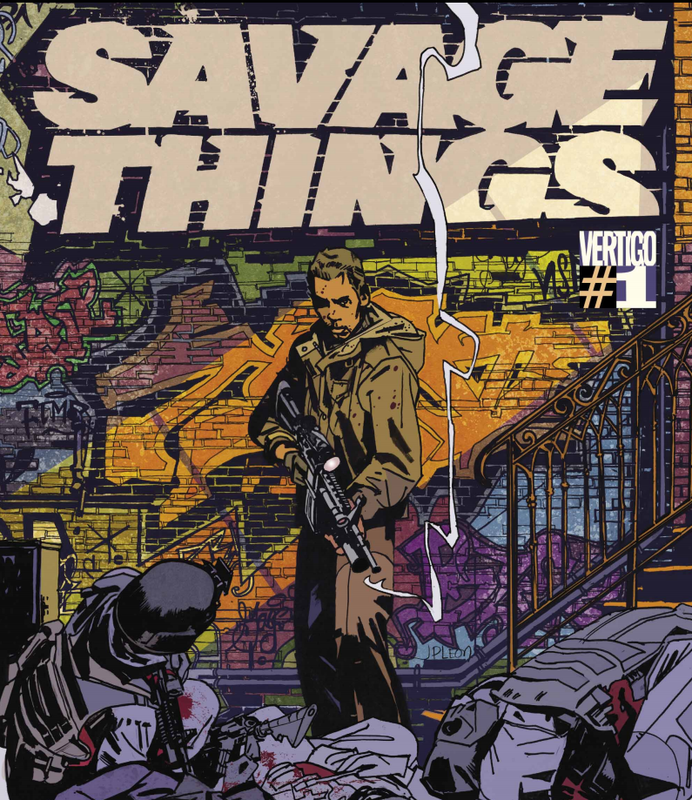 Savage Things is not for the faint of heart as it’s violent, brutal and an entirely possible reality. Our story follows Abel who is a government agent possibly on the run. He is a part of project Back Forest, a clandestine group who kidnapped children at a young age and trained them to kill, the only thing is they didn’t take just any children, they solely focused on those that exhibited certain traits, those that would make them ideal killers. Once in Black Forest’s care those traits could be manipulated and nurtured to make the perfect weapons of death. As stories go this is fairly unique, at least by modern comic book standards, especially since it’s so violent and dark, but that’s what helps it stand out so much. Abel is anything but likeable, this issue opens with him starting a fire and not caring about his parents in any normal way, setting all this aside he is a total badass and the finale of this issue is like something out of the Matrix. This is a dark issue that will draw you in to its own conspiracies and you will relish in the destruction it shows you, I highly recommend you read this one.